Kowalskiy! 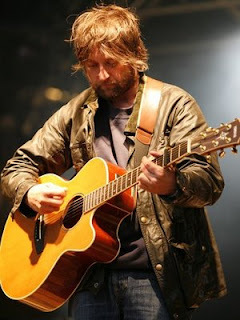 Kowalskiy: K is for .....King Creosote! K is for .....King Creosote! Thank goodness for Hallam Foe! When I first watched the great wee film I fell in love with the soundtrack and one song in particular, "The Someone Else" by the amazing King Creosote a.k.a Kenny Anderson. A few Amazon searches later and I'd amassed a good chunk of his back catalogue. New album, Flick The V's is up there with his best and is sure to feature on a few "Best of" lists come December. KC is also the founder of Fence Records which features a wealth of great bands like FOUND, The Pictish Trail and James Yorkston to name a few.